Are online casinos rigged? It’s a story everyone who’s lost a bet or a card game has told themselves at some point. That wasn’t just bad luck, that game was rigged, I had no chance. It’s a natural reaction to be suspicious of your own bad luck, particularly if the source of that luck is the opaque algorithms of an online casino. But are online casinos rigged? Are the odds so stacked against the player that there is, in fact, no point playing? It’s an interesting question. On the one hand, the house must surely have an edge, every player knows this. if the casino didn’t, in the long run, take in more than it paid out, then it would go out of business. Anyone who thinks that the playing field is entirely level is deluding themselves. And yet the casino can’t win every time, or else there would be no point playing. Casinos want players to enjoy the experience and return, and that means giving something back. A player who loses every time soon becomes discouraged. Online casinos rigged against the player will lose that player. The question then becomes, how much advantage is an unfair advantage? 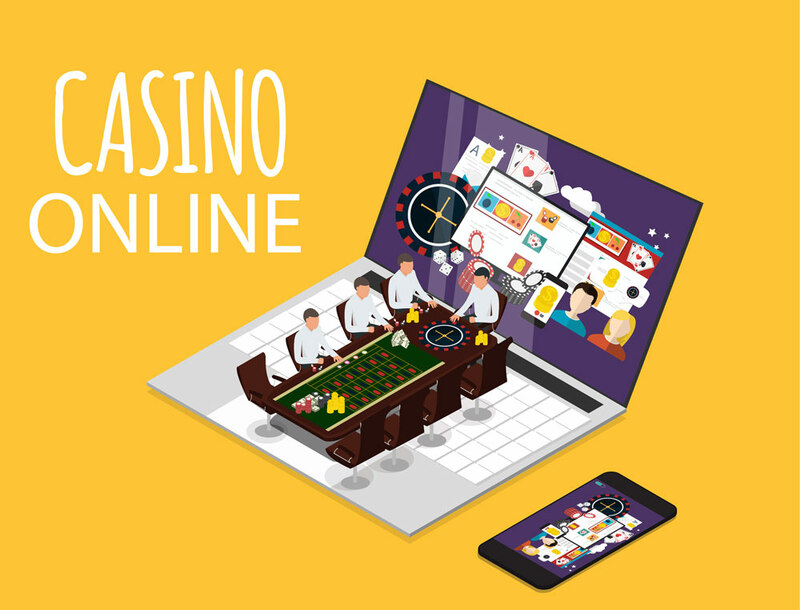 do online casinos tip the balance too far in their own favour, or are online casinos fair? It’s important here to remember that many casino games are, by their very nature, games of chance. Take roulette, for example. Betting on red, or black, a player may think that they have a 50:50 chance, but this precludes the fact that there’s one green slot, a small, but significant edge for the casino. Over time, they’ll take back more than they pay out. This mirrors the way non-virtual casinos work. A lot of money flows in both directions but, crucially, the house always has the advantage over the long term. It’s also down to human perception. It takes an exceptionally clear-minded player to remember how probability works when they’re caught up in the emotional excitement of the game. Each spin of a roulette wheel is an individual event. It’s just as likely to be red six times in a row as it is to land on two reds and four blacks. It’s easier to take when you’re sat in a real-life building, watching a flesh and blood croupier spin the wheel. But behind a computer screen, anything could be happening, which means that a suspicious mind turns, naturally enough, to thoughts of rigging. Like it or not, the workings of an online casino are, by their very nature, invisible to the player. So how do they work? In order to ensure that online casinos are as fair as real life ones, the casinos use random number generators: software which ensures that what happens in the online game is as subject to laws of chance as any physical game. Every turn of a card, throw of a dice or spin of a roulette wheel that you see in an online casino has been generated by this software. To ensure fairness, every UK online casino has to have this software certified as fair before they even begin the process of applying for a license to operate. Given the possibility of fraud, the industry is highly regulated, and maintenance of standards is an ongoing process overseen by third parties like the UK Gambling Commission. The Licensing authorities check a wide range of criteria before granting a site a license, and the rigour of this process weeds out any which may indulge in questionable practices. This is not to say that all online casinos are a safe place to play, there have been well documented instances of online casinos which were ripping off punters. However, it is relatively easy to navigate the world of online gambling if you adhere to a few basic principles. You can rest assured that all major names will have had their procedures rigorously tested and monitored,; if playing on a smaller site, they often publish details of their audits and certification. If the site is approved by the UK Gambling commission, then it’s safe to play on in the knowledge that the game won’t be rigged. Beyond this, it is easy to search for sites to avoid, the industry maintains blacklists of sites whose honesty or processes are compromised. Avoidance of these means that you can place your bet in confidence.